I have had this palette for so long now and I have been meaning to blog about it for some time (I'd even taken the photos a couple of months ago but I kept forgetting to write the post up). I use this almost everyday for something or another and it has become a real staple in my make up bag so a review was definitely needed. Of course, the sleek packaging is very chic with matte black casing and 'Sleek' written in a glossy text. The brand name says it all really! The palette is thin, which is often a plus for most bloggers what with travelling and storage and such, but since taking these photos some how I have managed to snap off the rather large (and extremely useful especially for on the go) mirror! I've no idea how I've done it but coincidently I've had the same problem with the contour kit compact too- is it just me being clumsy? Or has anyone else had this issue? These shadows are soft and buttery and they do apply nicely to the lids. Although I do find with the darker shades you can get a little bit of fall out. They also require a little extra time to blend them out seemlessly compared to the likes of MAC shadows. The longevity of the shadows is good when used with a primer (I use MAC Paint Pot in Painterly), I haven't tried without one as I have quite oily lids so I need a primer with basically all eyeshadows that I use. The shadows do tend to fade a little if its a really long day but nothing too drastic! 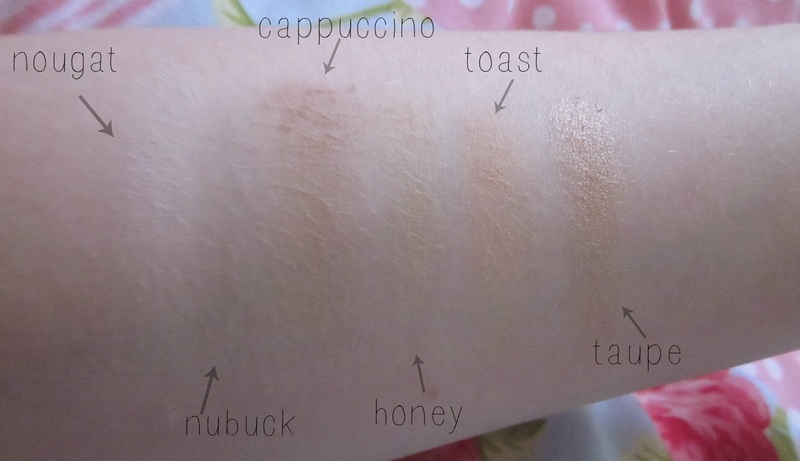 My swatches are a little deceiving as it seems that the lighter shades are less pigmented, but in real life they are just as good as the darker colours but thy just don't show up on my skin as much! Although I don't tend to wear black eyeshadow, the black in this palette is awesome and I sometimes use it as a liner. The darker shimmery shades, 'Conker' and 'Mineral Earth' aren't quite as pigmented in my opinion, but they still work well but you just have to do a bit of layering. As with all Sleek products, the quality for the price is insane. Sleek products are so affordable, this palette retails for a measly £7.99 which works out for around 66p per eyeshadow - bargain right?! Personally, I do prefer the Sleek palettes to some of the cheaper brands. For example, MUA do a 12 pan palette for half the price of this one but the quality isn't nearly as close so I would really recommend this palette to anyone! 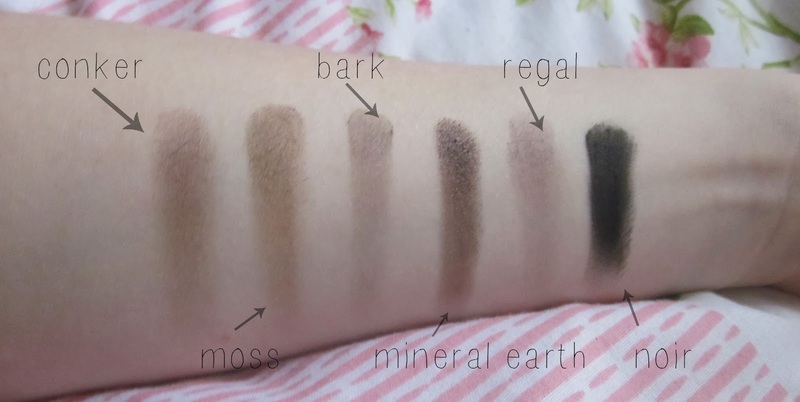 If I had to pick my favourite shade it would be 'Toast' which is use as a blending or transition colour for my eyeshadow, especially if I'm doing quite a dramatic look. I also love 'Taupe' (which certainly isn't a taupe colour in my opinion) as it is so beaut and shimmery! 'Moss' is another favourite of mine as it is a bit different to what I normally go for! Do you like the Sleek palettes? Which one is your favourite? 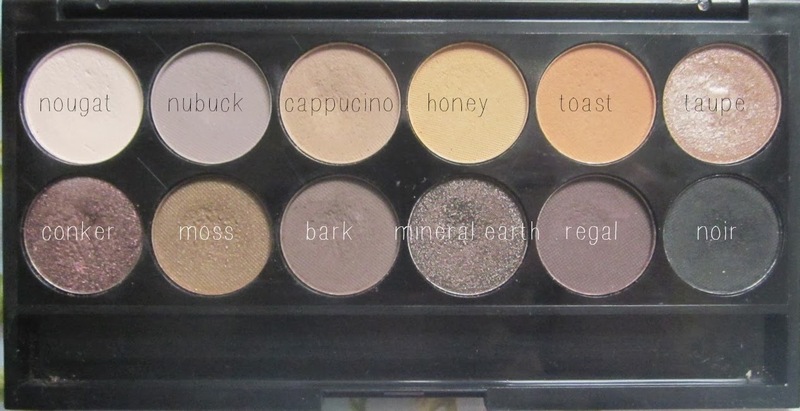 8 comments on "SLEEK AU NATUREL PALETTE"
I cant wait till my Sleek Makeup products come in! Love sleek makeup, so lovely and very affordable! I've never tried Sleek palette. The taupe shade is indeed pretty.